Ed. Note: Normally, the reviewer is peripheral to the review but in this case it should be realized that Ray Gentile is himself an expert’s expert, having written what for many years was the standard go-to book on this subject. It was published under the same title by the same publisher (but the “old” Dalton Watson company) in 1980 and while out of print is still available in limited numbers from the author. What may have started as an effort to merely reprint Gentile’s authoritative text, possibly revised and updated—something that enthusiasts had certainly been clamoring for—such a wealth of additional information has amassed over the years that the new book shares little but the title and a similar commitment to accuracy with the earlier one. 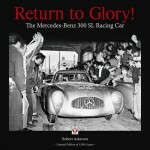 Dalton Watson has done another splendid job with this publication, published in two hefty volumes—limited to 800 copies—with a total of 1168 pages that, in addition to extensive details of every Continental chassis, contain a plethora of 2114 photos of the cars. One might well wonder how much more could possibly be written about only 279 derivatives of a single chassis type, but André Blaize has given the reader every possible vestige of information that anyone, anywhere might want. 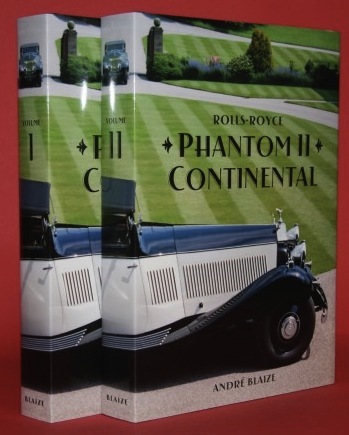 The two volumes have matching dust covers displaying the ultimate Continental, the Gurney Nutting/Owen dhc resting on the driveway at the stately home of a British Lord. Vol. 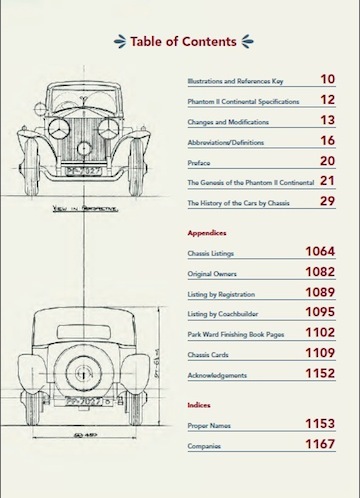 I opens with a page index of each chassis, a reference key for all illustrations, changes and modifications incorporated in the Phantom II over its life, and a history of the Continental and how it came into being. Much of this has of course already been recorded in the past but this book wouldn’t be a complete treatment if it didn’t include this portion. 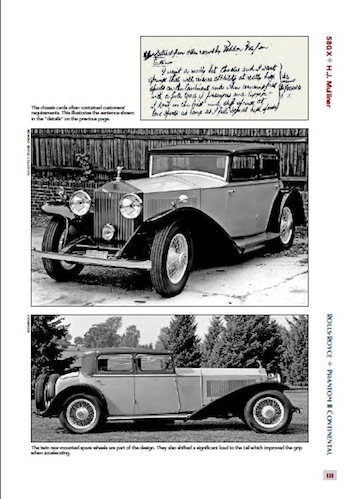 Starting with chassis 26EX and ending with 62UK, a total of 279 Continental chassis were erected at Rolls-Royce’s Derby “factory,” just 16.6% out of a total production of 1,681 Phantoms II. 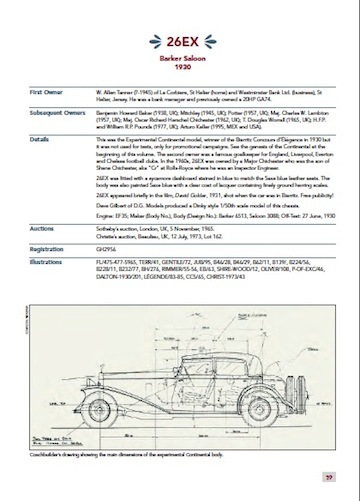 Getting into the meat of the treatise, each Continental chassis shows the original owner, their address, subsequent owners with their home country including their period of ownership, details of the individual chassis, registration numbers, and a reference to pictures of the cars that have appeared in other publications. Period photos are augmented with ones from the author’s massive archive that, along with a corresponding database, has been growing for now half a century. The photos manage to show 91.7% (or 257) of the cars built, an amazing number when one considers that the newest Continental is now 80 years old. At the end of Vol. 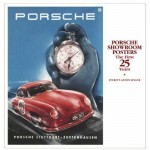 II is a compendium of various charts and documents pertinent to the Continental. 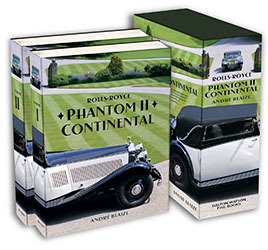 If you own a Continental or contemplate ownership, the book is obviously required reading, but, face it, no Rolls-Royce library worth its name is complete without it! 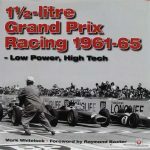 Commendably, the publisher made an effort to give known current owners of the cars the opportunity to purchase a copy of the book that would bear the same number as their car; the remainder is made available to ordinary mortals and is not individually numbered. 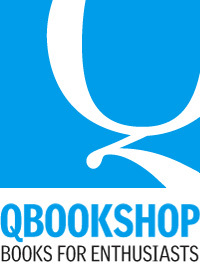 Copyright 2015, Raymond Gentile (speedreaders.info).